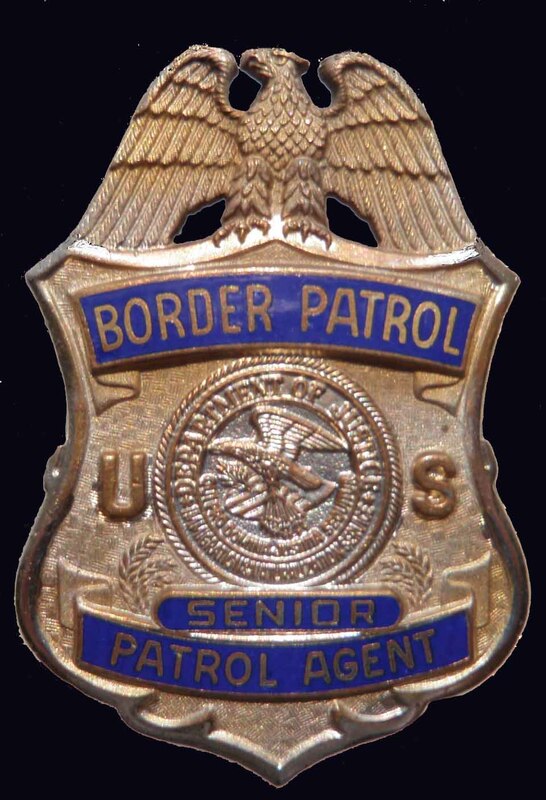 The standard official U.S. Border Patrol badge has retained its basic shape since the 1940's after a redesign of the first official badge worn in the 1920's-1930's. 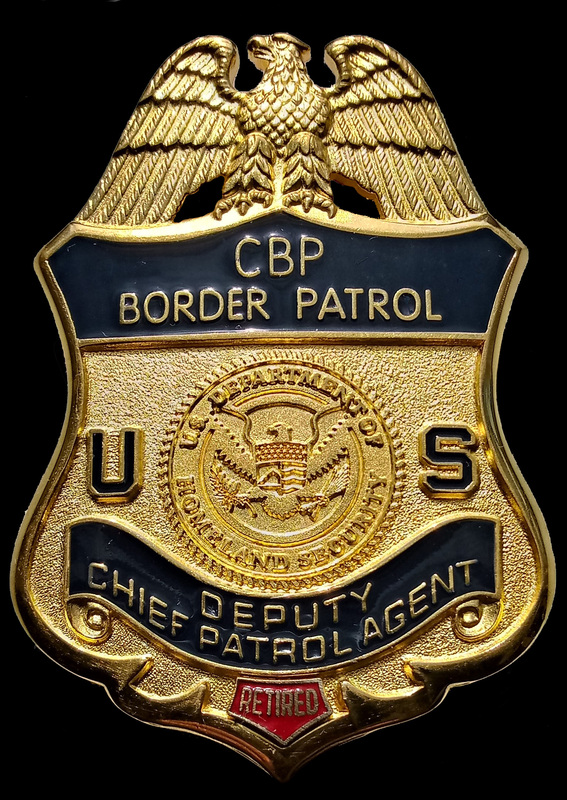 The center seal has changed to reflect the different parent organizations that the Border Patrol has fallen under from the Department of Labor to the Department of Justice and finally to the Department of Homeland Security. 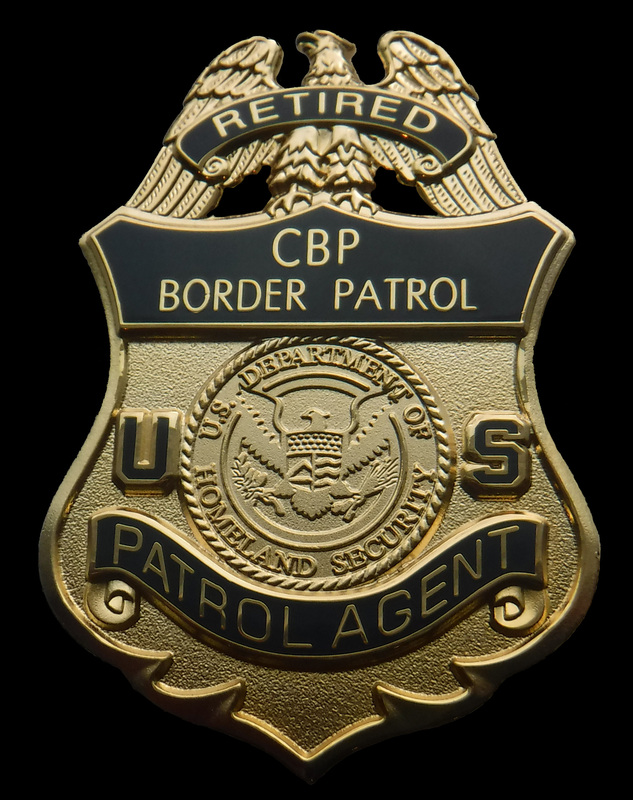 Several commemorative badges have been available to agents to signify special anniversaries or events. These are posted on a separate page. 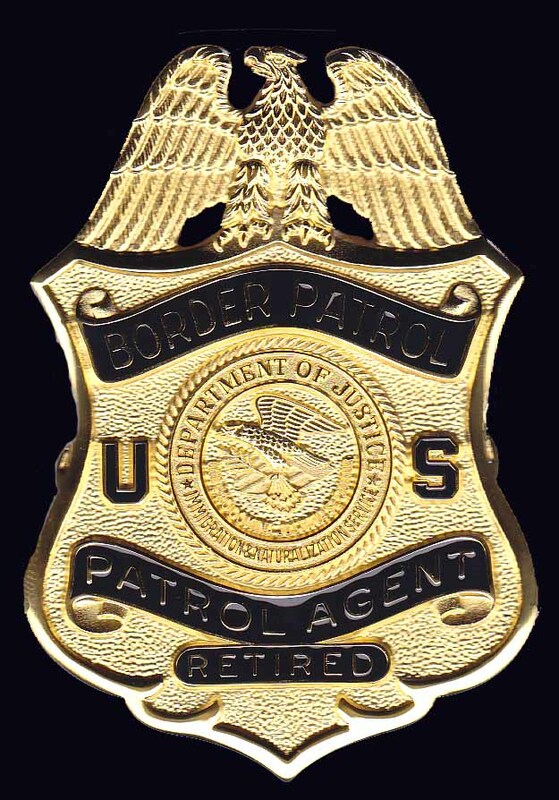 Although badges were made for the various ranks, only one example per each style is shown. 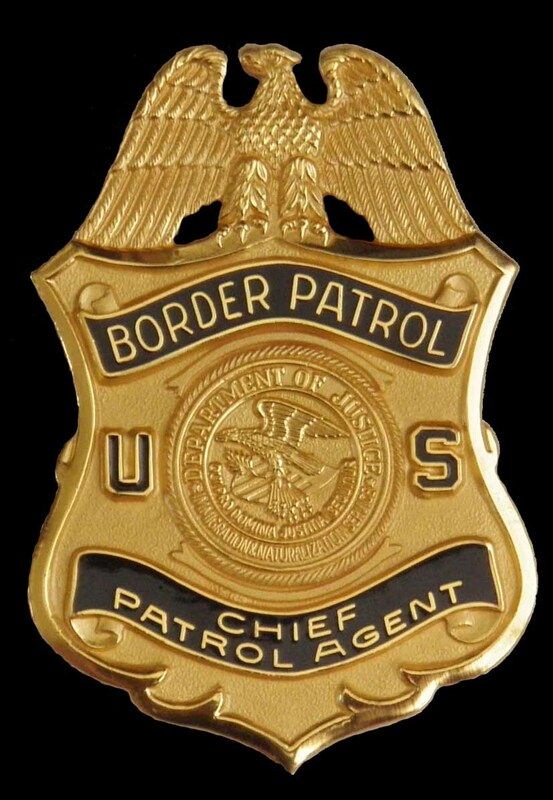 NOTE: Dates are based on information received when badges/images were obtained. Worn from 1924 to 1940. 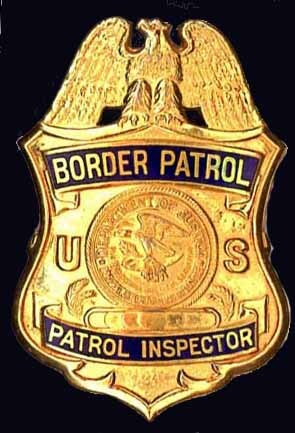 When Border Patrol and Immigration Service were under Department of Labor. Variation made in sterling silver and stamped on reverse. 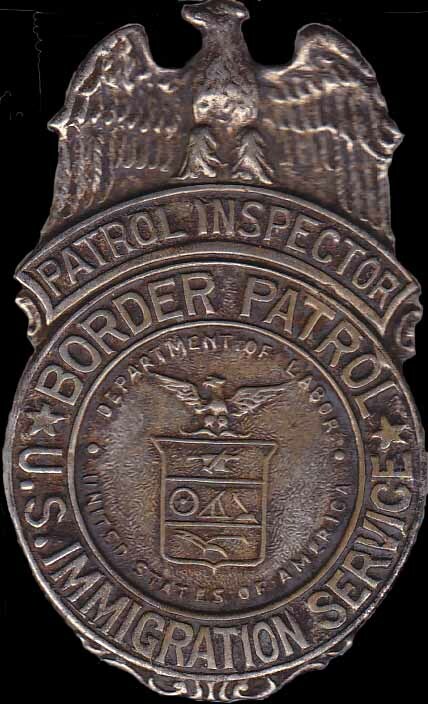 Worn from 1940 to 1950. 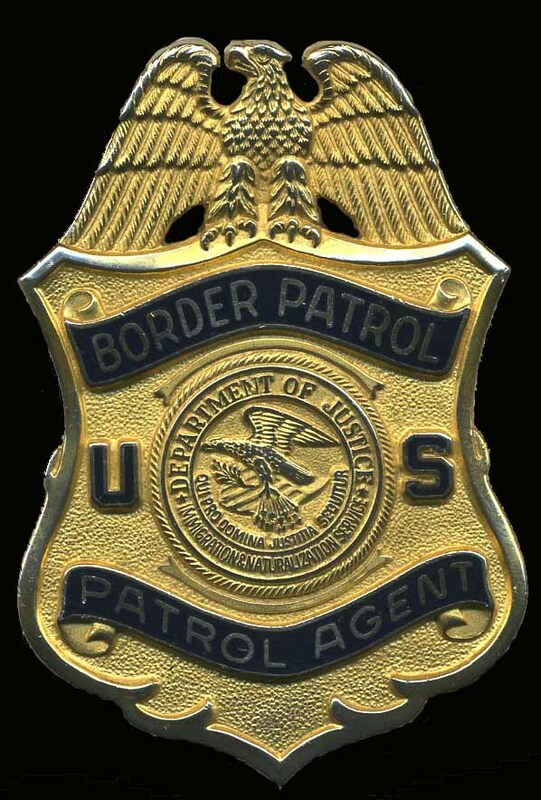 When Border Patrol became part of the Department of Justice under the Immigration and Naturalization Service. 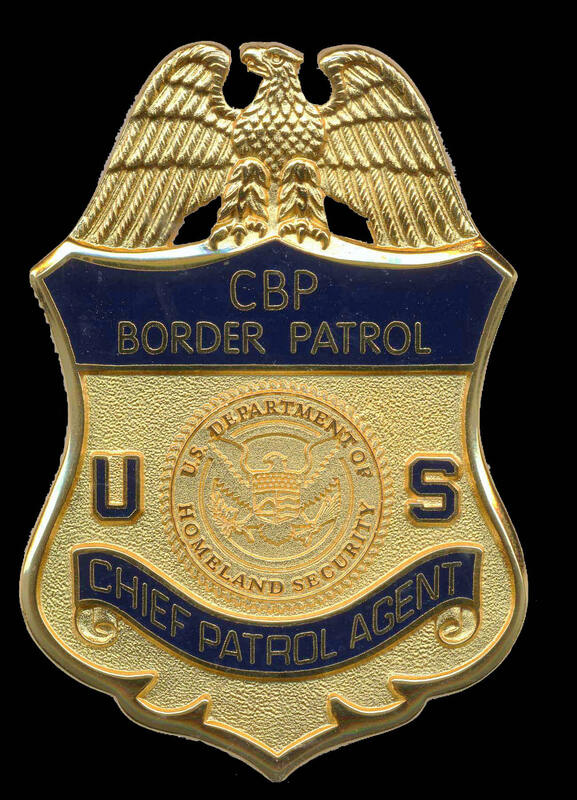 Several variations of the badge were worn. 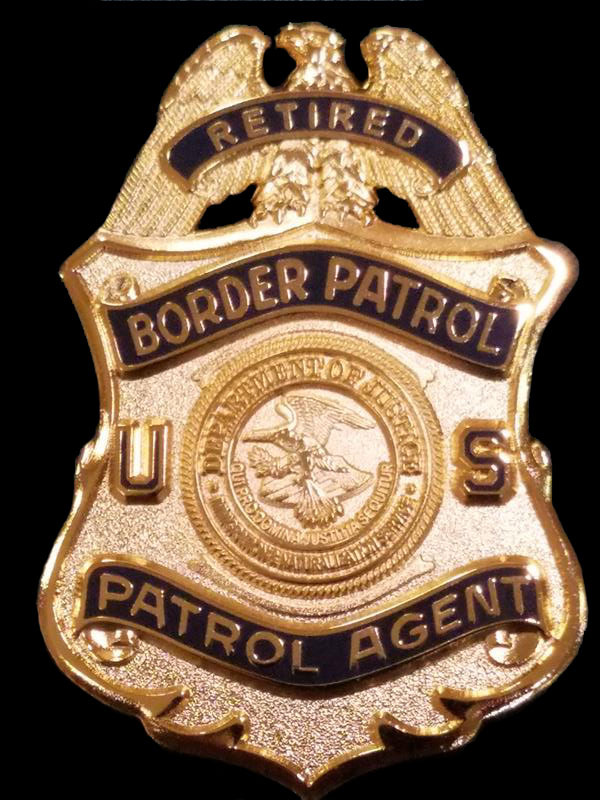 Worn from 1971 to 1985. Has blue enamel and panels. 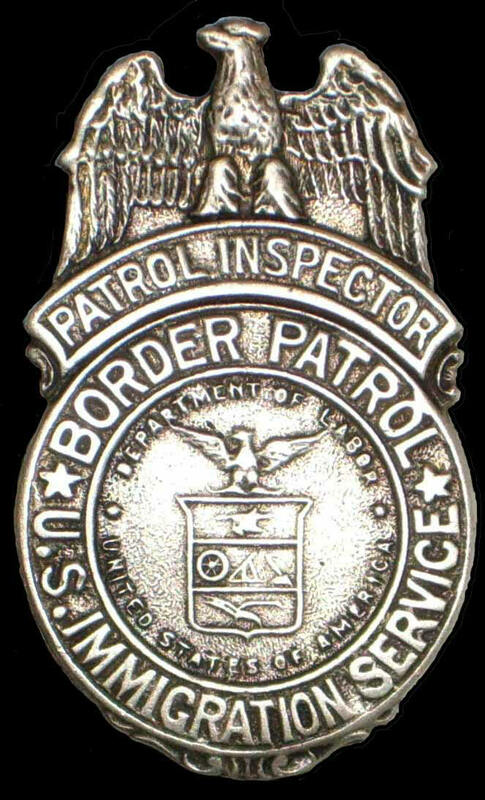 Worn from 1985 to 1992. Has blue enamel and different finish than previous style. 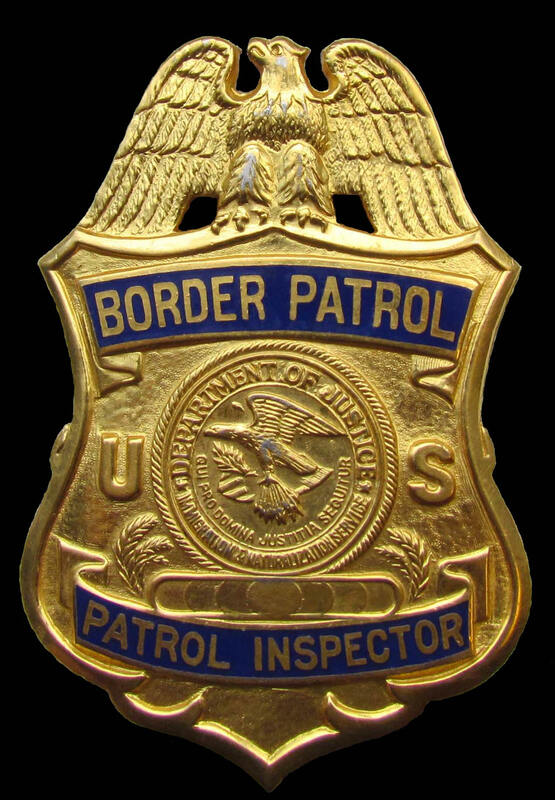 Dept of Justice issue badge with black enamel. Last Dept of Justice issue badge with black enamel. 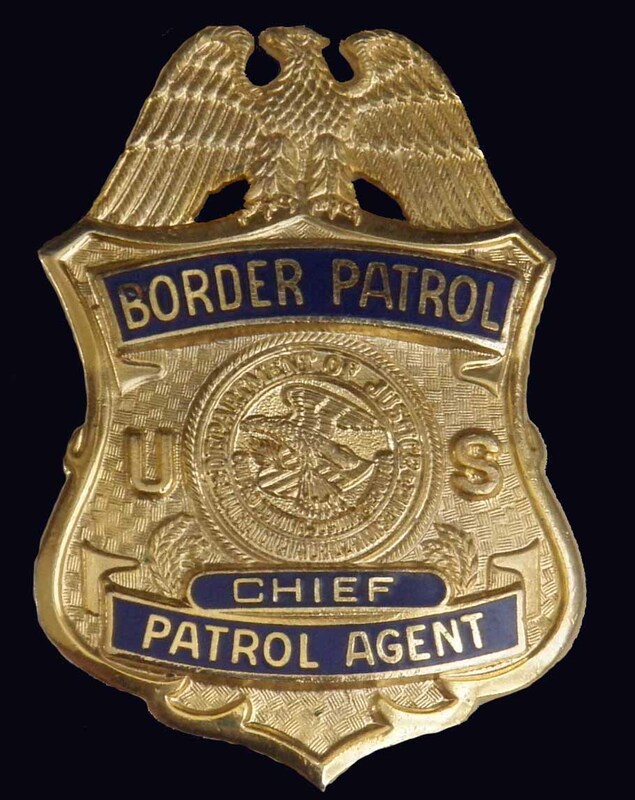 Wallet badge (flat) with clip on reverse. 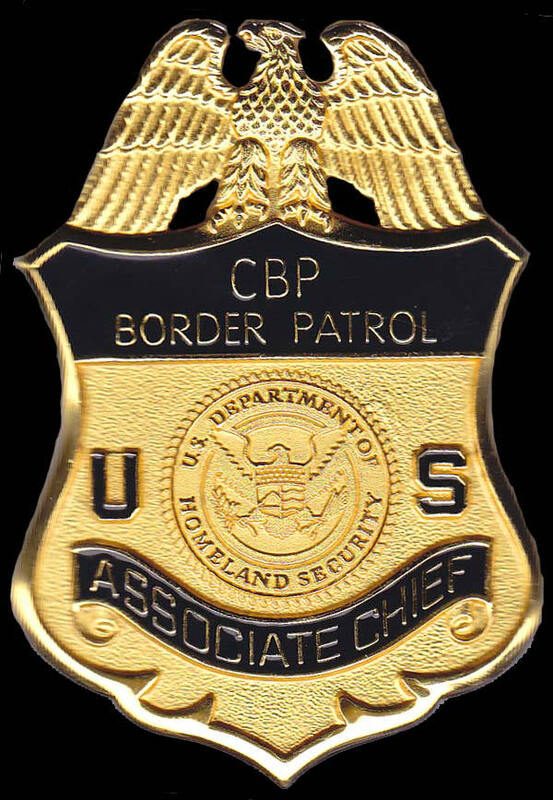 Current badge which began being issued in 2008. 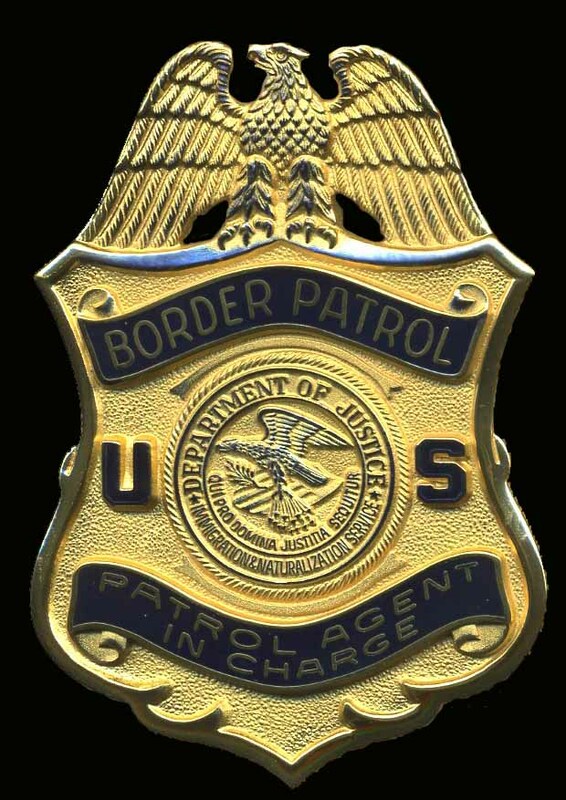 Official badge with Retired tab and date over Department of Justice seal. 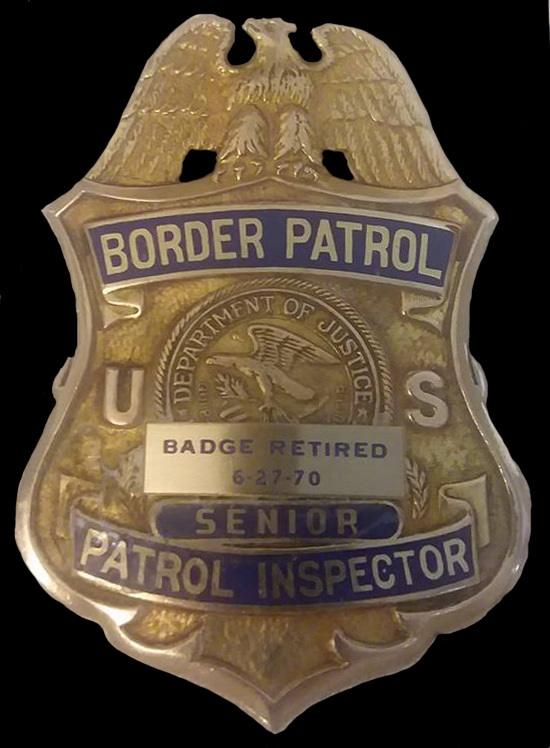 Official badge with Retired tab in red on bottom.